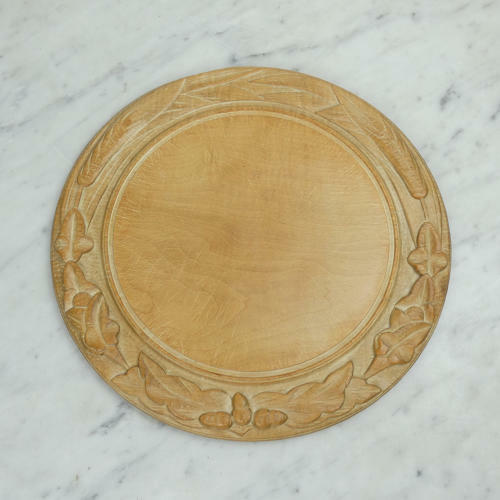 A very well carved, Victorian beechwood breadboard. This board is quite early, dating from c.1850. The design is quite unusual as it incorporates acorns, oak leaves, ivy and wheat. The carving is very deep and very well detailed and the wood has an attractive, rich patina. There is a small piece of wood missing from the rim of the board. This is more obvious from the reverse than from the face. Otherwise the board is in very good condition.